The Runes of the Infinite Mother are the original work of Almine, LLC Spiritual Journeys, (www.spiritualjourneys.com). Rune Mastery training is underway, and there are many resources to support study for those who feel called to the Runes. Read about these below. The great mystic and seer Almine, received the first 4 sets of Runes a few years ago, for the four bodies of man. She later received the next three sets in 2014, completing the system for the seven bodies or Fields of Perception for embodiment. Along with the last three sets came clarity on their purpose and use as a tool of Incorruptible White Magic that had the power to bring to the body the capacity to manifest Infinite Intent. In wielding these potent tools, we participate in co-creating the eternal journey of existence, through the quality of our expression in unfolding life. We are now ready to work with these tools to refine expression and live a life of no opposites. I am offering programs to prepare deeply for the initiations, as well as a Rune Training/Integration/Initiation Intensive. Read about all options, below. Note: You will need the Book of Runes for the training program. 8-week Training ~ Weekly Skype sessions – This program includes initiations to Mastery and Grand Mastery levels. Rune Mastery Mentoring and Initiation – preparation ceremony and initiation, with the requisite 8 hours of concentrated self-study. Option for mentoring with support materials. Follow this link to read more about it.. You will need to Book of Runes and Bridge of No Time books as part of preparation. Click here to find them. “This intensive has been such an inspiring and transformative experience. Anita has put a countless amount of hours and so much care into this program. She was very attentive and helpful. I am continually impressed by her and I really can not recommend this program enough. I have become much healthier: mentally, physically and spiritually. Life has begun to flow and flourish with grace because I am more connected with my true self and leaving behind all which obsolete. I am eternally grateful for this wonderful experience. Private Sessions with Rune Spreads – This is open to all, but is also a great way to learn how to wield the power of the runes through deeply transformative spreads. If you are a practitioner, then this will demonstrate how you can apply the runes in session with clients. Follow this link to read more about it. When we contribute our unique perspective to the expression of Infinite Intent, the meridians express at higher function, and the eight extraordinary meridians articulate inner inspiration into impulses for outer expression through the 12 ordinary meridians. Furthermore, as we operate from Divine Compassion–a state wherein nothing is sought externally as all is known to be within– surrendered trust, and unconditional self-responsibility for one’s environment, the chakras are able to intercommunicate as a unified field . As we purify these system, 12 * 8 * 7 (or 672) becomes a potent field of nuances of expression, and we become deeply receptive to the activation of the 672 Runes of the Infinite. When the Runes are embodied, the 672 Angel Gods walk with us in life…as powers activating within, in support of resurrected being, as they change the cosmos according to your aligned actions. I had the great privilege in participating in the first Rune Mastery Intensive Training program offered through the Academy of Fragrance Alchemy, and without any hesitation wholeheartedly recommend this exceptional training to all those who are truly ready to move to the next level. The depth and breadth of preparatory work that is covered in order to enable one to wield the power of the Runes with greatest mastery and impeccability is unparalleled, and even as a dedicated student of Almine this has been a most extraordinary revelatory experience for me. Included, alongside countless hours of the most incredible ceremonies geared towards full-being evolution, is an absolute treasury of study materials, that in themselves are worth more than the value of the whole package, and will serve for a long time beyond the course of the program as sources of reference for the ongoing journey. Anita’s ability to weave together the complex layers of the tapestry that is emerging as the “route” to freedom ultimately from a life of separation, with many treasures gleaned from the vast body of materials that has been loving laid out by Almine, is quite extraordinary, and all of it comes together beautifully in this program. This is the training that I recommend to my clients, and many have asked me if the time and study commitment that is asked for prior to initiation into Rune Mastery is worthwhile – I can say unequivocally YES! The depth of personal evolutionary potential that is explored very practically is invaluable; it is a multi-layered process that changes one mentally, emotionally, physically and spiritually. You can FEEL the difference having put the initial prep work in, there is simply no comparison to such a depth of palpable experience. With full engagement and willingness to let go of all that no longer serves at this point, actual body-level changes are practically guaranteed with this. What to say about Anita and her courses? It’s quite difficult to put in to words experiences that are indescribable but if I was to pick one word it would have to be “Magical”! I started studying Almine’s work only a few months before Anita’s Foundation for the Miraculous Life course began in January 2015 and since then I haven’t looked back. Anita has a wonderful talent for taking a huge volume of complex information and making it digestible and easy to assimilate. The behind the scenes healing work with both Anita & Jodie is also very powerful and every 6-week course was a huge shift in consciousness for me. I looked forward to every session in excited anticipation of the magic it would bring and it always delivered. After completing part 1 of the Foundation in a Life of Miracles course I couldn’t wait for Part 2 to begin. It felt like I was riding the crest of a wave of the most cutting edge “spiritual work” out there and wanted to keep going. Part 2 followed soon after and even though some of the content was tough going I stayed on the wave and didn’t get bogged down on what my mind could not understand as I felt this was probably part of what the program was about anyway! I felt such powerful feelings of joy and enlightenment during and after each session, they couldn’t come quick enough. There was homework to be done between sessions and it does take discipline to keep on top of things so if you are considering doing these courses then be prepared to put the effort in; you’ll be glad you did. After a break for a few months we started the Rune Mastery training and this took things to a whole new level! The Runes are amazing and I feel so blessed and privileged to have been given the opportunity to work with them. The prep work we did before initiation and the work we did after with the sub personalities, animal kingdoms, etc. are the most powerful things I’ve ever experienced. The beauty of all this work is that it has never been done before and therein lies Anita’s core strengths; she is a wayshower for the wayshowers, a trailblazer for the trailblazers! She pushes through the boundaries of everything and mines the gems for us which makes all of this work so much easier for her students. We just need to show up with an open heart and a willingness to trust and work hard and Anita provides all the tools we need to birth a new cosmos. How cool is that? If you are a student of Almine then just sign up for Anita’s Rune Mastery courses! If you are not, or a new student like me, then be prepared for the most magical experience of your life because this is where it’s at! It is so wonderful to meet you in person. Being educated by you in the Runes was far beyond anything I could have imagined. In fact there is no way I could have expected what I experienced under your guidance and the transformation that is still in progress. There is definitely perpetual alchemy taking place! Without even thinking about some of the issues I’ve worked on resolving through use of the Runes, I am amazed at the flow of understanding, clarity and heightened awareness that continues to surface! The releasing of obsolete beliefs and programs is deeper than anything prior. To be able to call on the angel gods of the Runes and know I am part of an alchemical equation that keeps working is truly a gift. Deepest PLG & ST. Much love dear Anita! Olivia Brooks-Scrivanich, SeattleI was astounded by the fluid brilliance of Anita as she led our group, through different meditations to clear the body of age-old programs, blockages, and negative emotions. Her depth of knowledge of the runes and the interconnection they have with the chakras, the meridian system, the organs, the archetypes, and sub-personalities is truly amazing. She is a true gem. Maureen Robichaud, NBI feel infinite and eternal love, praise and gratitude for the opportunity to experience a life altering immersion into the new runes of the Infinite Mother during our recent Rune Training Program. It was such a blessing to experience the resonant alchemy of gathering together, of contributing to the creation of a new reality, of leaving the reality of opposites behind! What a joy to clear eons of distortion and illusion within myself and by proxy for all life! The program materials transmit your impeccable integration of the new runes with other powerful tools Almine has brought forth as well as your profound understanding of our body as template for the evolution of the cosmos. Absorbing this material gives me a solid foundation to develop my personal relationship with the new runes and to master fluidly navigating inner and outer realities. For me, your training is a springboard to becoming a conduit for incorruptible magic! Words fail to express my deep appreciation and gratitude! Love & Blessings, YvonneWords are difficult to find that can express the 3 day training/integration program that I experienced with Anita and the group. For me, it was life altering and that was unexpected as I have been walking this path for quite a few years. I am in a totally different place…..more grounded than ever before, calmer, and more within myself on a constant basis. I see the world and everyone very differently, and there is a depth of peace that is also new. My head very often doesn’t have anything going on, but just an awareness of what is around. I think this is mindlessness, and so different from the chatter of before! If I was going to put one word forward….the change is “profound”. The program worked on so many levels and was very intense. For those on a dedicated spiritual journey, I highly recommend this program! Anita Lucia/Canada: Keeper of the Keys of the Rune Masters of Canada (Initiated into Master level of the Runes and Placeholder, by Almine (Sept 2014), and to Grand Mastery by Rogier Chardet (July 2015).) To read about what it is to be a Keeper of the Keys of Rune Masters, please visit the Almine Diary post of June 24th.Anita has been studying Almine’s work intensively for 3 years, following a quest for the higher hormones of a dignified existence, since 2009. On her intense journey of destructuring everything, which began in 2004, she pursued a study of acupuncture and explored the 8 extraordinary meridians extensively–masters of hormones and reservoirs of Source. Almine has stated that in preparation for the sacred task of mastering the Runes, we must purify the 12 ordinary meridians as well as the eight extraordinary meridians. Below are discussions based on her teachings. The 8 extraordinary meridians are the vessels and channels of godhood and the deep reservoirs of source, that can determine our reality. When in illusions of separation, we are locked into the mirrors of opposition that has been the vertical axis of existence, and the 8 extraordinary meridians remain inactive. In other words, under primary illusions of separation, we are lost in a mirrored reality that operates under the law of compensation of cause and effect, and the horizontal feminine axis of existence remains suppressed. When we release illusions and bring in the fertile power necessary for perpetual alchemy, wherein life is ever new, then we become the center of our reality, we establish pristine man within, and the vertical axis of form changes from being a mirrored reality to being the expression of our lived godhood. We have then established the the portal of integrated oneness that is the opening of the High Heart. The 12 ordinary meridians are the channels of the vertical axis of form through which may be established pristine man. These channels are intended to organize or express life according to the parameters given by the 8 extraordinaries. When the 8 extras are inactive, then the 12 operate without direction–from false emotion and memories of trauma. The 12 ordinary meridians are the masters of the organs, and the organs are containers of all that has been unresolved over the eons of separation. When the 12 are left to their own devices, the organs recreate the distortions of the past through the discordant frequencies that they sing. It is at the level of the 8 EMs alone, that reality can change. 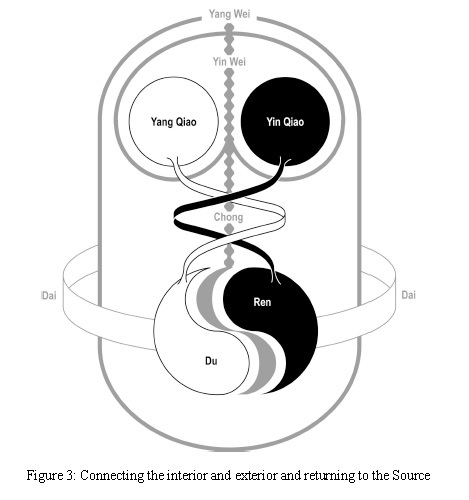 The potential power of fertility of these 8 EMs is so great that it can renew the programs at the base of the spine that have never before been regenerated–when that happens, we leave the dream of separation completely behind, and have become the Bridge of No Time and eventually the Bridge of No Space. This is the state of being for the one who has embodied Grand Mastery of the Runes. The fertile power of regeneration and life evernew of the 8 EMs acting upon the 12 ordinary meridians that are cleared of emotional debris and singing the tones of harmlessnesss, forms the basis for perpetual alchemy with the Infinite. The fertile power of the 8EMs moves the 12 OMs to ever higher expression, until they sing the Tones of Fluid Manifestation, becoming the ‘wombs for the manifestation of Infinite Intent’. The 8 EMs of godhood, the 12 OMs of pristine man, and the 7 fields of perception combine to enable embodied integrated oneness or supergodhood. For each field, the 8 powers of godhood (that form the horizontal or feminine axis of life) interact with the 12 capacities of individuation (that are the vertical or masculine axis), producing (8X12) 96 inner senses, and 96 acupuncture points on the body. Each inner sense has a corresponding acupuncture point on the body, over which an angel god presides (AGs of the Runes). The 12 OMs, the 8 EMs, and the 7 fields of perception make up the three factors in the equation whose product is the alchemical nexus of power of the 672 inner senses of inner space, and 672 acupuncture points on the body. When 12 OMs and 8 EMs are clear and activated to higher function, and the matrices between the chakras have dissolved, then their intersecting ‘lines’ activate the inner senses and open up the corresponding acupuncture points on the body. Sense activation on inner space enables the new language of supergodhood (as described in Braamish Ananu in Belvaspata, Volume 1). Inner senses then translates fluidly into impulses in body, to manifest reality in outer space. And the angel gods of the Runes take that and carry out the cosmic-equivalent–all life changes thereby. 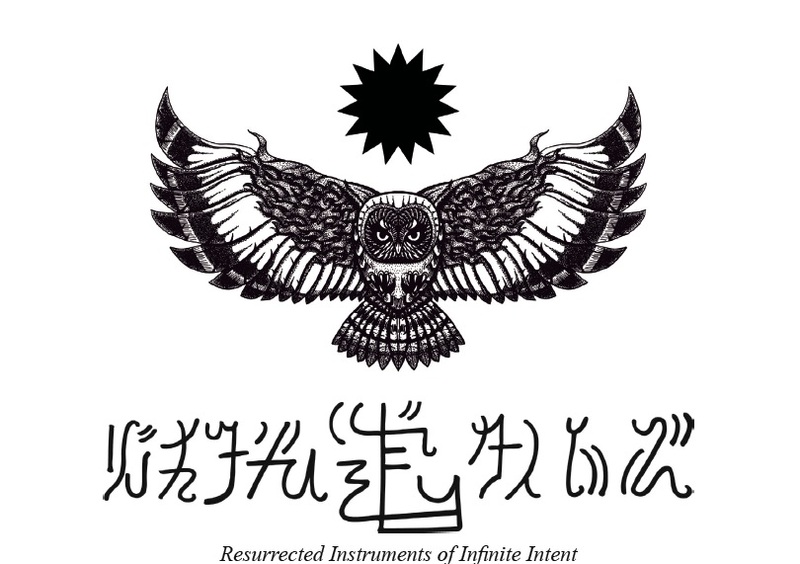 Likewise, the runes acting on the acupuncture points that have become open portals of Infinite Intent cause the body to evolve greater powers in the hidden organs, the meridians as ‘wombs of Infinite Intent’, the 24 chakras of sexual magic, and inner senses, which increases our ability to receive greater flow of inspiration and power from the One Life. The High Heart is the portal through which we may activate these grand potentials of mastery. When fully activated, the High Heart is able to move all elements in the environment in support of the dreams of the heart–our Field of Hope is then translated as time maps of Infinite Intent, on all 7 levels of perception that make up our reality. Up to now, the 8 EMs have operated separately, on another dimension from the 12 OMs, and the 7 fields of perception have also operated in isolation from one another. We have alternated between life and death–living the 12 OMs then the 8 EMs, respectively, and likewise, living from the lower 4 chakras that are in white light, alternating with the upper 3 that are black light realities. Through the many teachings from Almine’s vast body of work, it is now possible and necessary that we operate multi-dimensionally and from all levels simultaneously, thereby unifying all life. The many offerings as part of Rune Mastery Preparation, where you will learn the mechanics of clearing and refining the 12 and 8 meridians, be assisted to clearing the matrices of separation, learn to dance with the paradox, dissolve the mirrors of the vertical axis, and clear and activate the spine and pranic tube and more. This is also a good time to restock on FA Oils and have all on-hand to support working with the Runes.